PEACH MANGO LEMONADE is a refreshingly easy recipe for a sweet summer drink that will become your favorite refreshment! 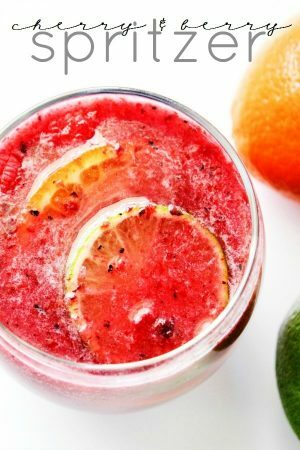 I love easy, refreshing drinks over the hot summer months. Recently my husband has a new favorite drink that he has made more times than I can count. This limeade is his own creation that he was inspired by a local restaurant that serves the best drinks around. And his special limeade is made in the blender which inspired my creation of this Peach Mango Lemonade. 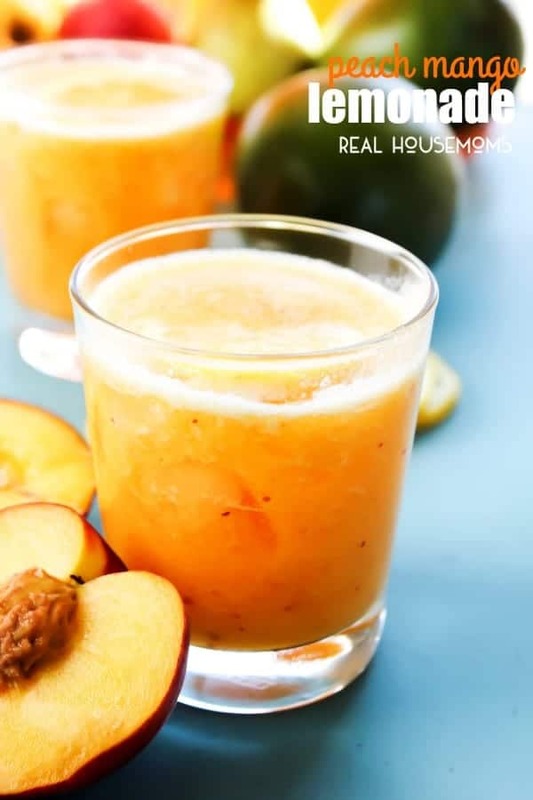 I love the initial frothiness from it being made in the blender and the leftover peach pulp is just gorgeous and makes this drink stand out. I love serving drinks that our friends and family ooh and aah over. When I first made this drink, I took a couple of glasses over to our neighbors who were out in the heat working on their yard, they loved it. And well my kids couldn’t get enough. The freshly sliced of lemons on top are just the finishing touch to this already gorgeous drink. This Peach Mango Lemonade is refreshing, sweet and tangy. The addition of fresh peaches and the sweetness of the mangoes are a perfect balance to the tartness of the lemonade. Summer heat is here and this Peach Mango Lemonade is the perfect thing to cool you down. Remove skin and seed from mangoes. I just peel the skin, and the cut the mango off from the seed. Remove seed from the peach and cut into quarters, leave the skin on. In a blender add lemonade concentrate, mangoes, peaches and 2 cans of water, use the can from the lemonade concentrate. Mix ingredients for 30-45 seconds or until well combined. Strain lemonade through <g class="gr_ gr_78 gr-alert gr_gramm gr_run_anim Grammar only-ins doubleReplace replaceWithoutSep" id="78" data-gr-id="78">strainer</g> to remove any large pieces and pulp. Pour lemonade into a pitcher, add one more can of water using the lemonade concentrate can. Stir to combine, add ice if needed or set in the refrigerator to chill. Be sure to stir well right before serving. Enjoy! 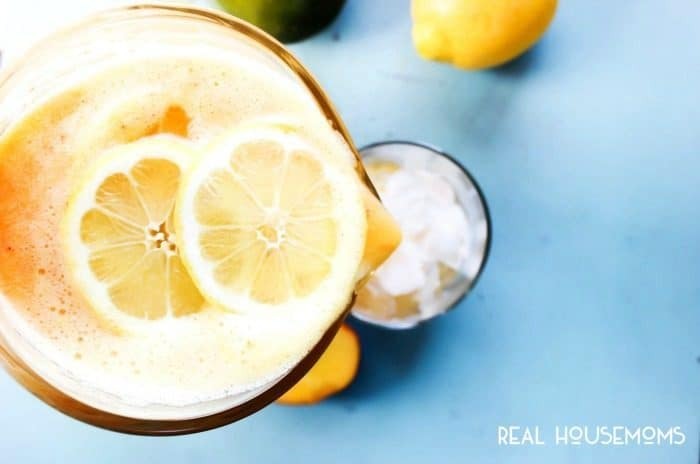 ***Note*** the lemonade concentrate can <g class="gr_ gr_82 gr-alert gr_gramm gr_run_anim Grammar replaceWithoutSep" id="82" data-gr-id="82">may</g> ask you to add more water than the recipes requires. Do not add the additional water, unless you want to adjust according to your taste. 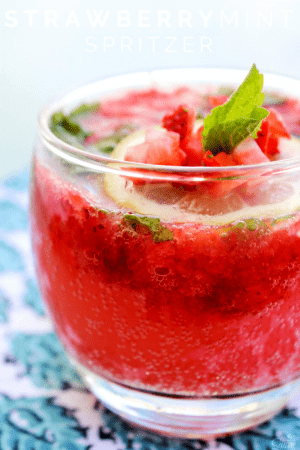 While you could easily substitute the lemonade concentrate and use fresh lemons, <g class="gr_ gr_83 gr-alert gr_gramm gr_run_anim Punctuation only-ins replaceWithoutSep" id="83" data-gr-id="83">water</g> and sugar, I find that getting the perfect combo is more difficult than it needs to be. Using the concentrate you get a perfect balance of flavors every single time. Love what you see here – check out these other summer “chillers”.